This forum is for registered RPLS Today Vendors to post new products, specials and company news. This is not a forum for criticism of Vendors. Our Vendors have graciously chosen to support RPLS Today through paid advertising and we owe them our appreciation for helping us keep this website online and available to everyone. Vendor-posted topics advertising outside of this forum will not be allowed. Only Vendors are allowed to create new topics in this forum. Regular Members can reply to existing topics but cannot create new topics in this forum. Vendor Members must still abide by the Community Rules and Terms of Service for the RPLS Today website. 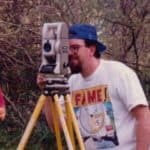 If you are a vendor, retailer, or service provider related to Land Surveying, Geomatics, or related industry, or want to use this website for ANY type of commercial presence including signatures, avatar, private messages, responding to threads about your products or services, no matter how big or small, you'll need to become a paid advertiser here at RPLS Today. For more information about becoming an RPLSToday.com advertiser, please visit our Advertise page. The process is easy and affordable when you compare to other industry-related advertising options. Becoming a Vendor on RPLS Today provides you access to our Vendor Showcase forum, where you can post deals, specials and announcements to the most popular online community for Land Surveyors and Geomatics Professionals. In addition to this special forum access and engaging with your potential customers, you get a special Vendor designation and the ability to create an advertisement in your signature. You must be an official Vendor Member to receive the Vendor designation and wish to use this community to communicate anything related to your business. Any attempt to advertise on this website without being a paid advertiser will cause your account to be permanently removed and banned without warning or notification.